What’s Wrong With Racial Profiling? I have been meaning to put this up for some time, but I filed the pictures away somewhere in my hard drive and like dog with a new squeaky toy, I got distracted by several things and forgot to post it. 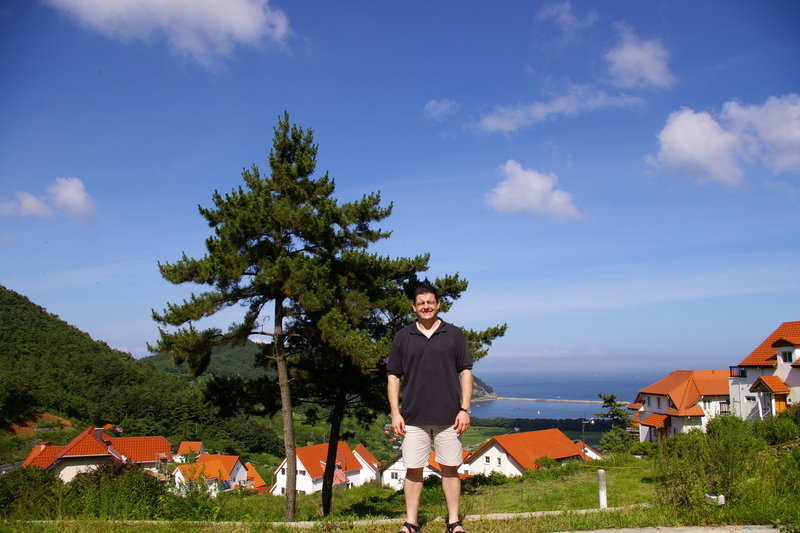 On my last vacation my wife and I went on a driving trip through the southern shores of South Korea. 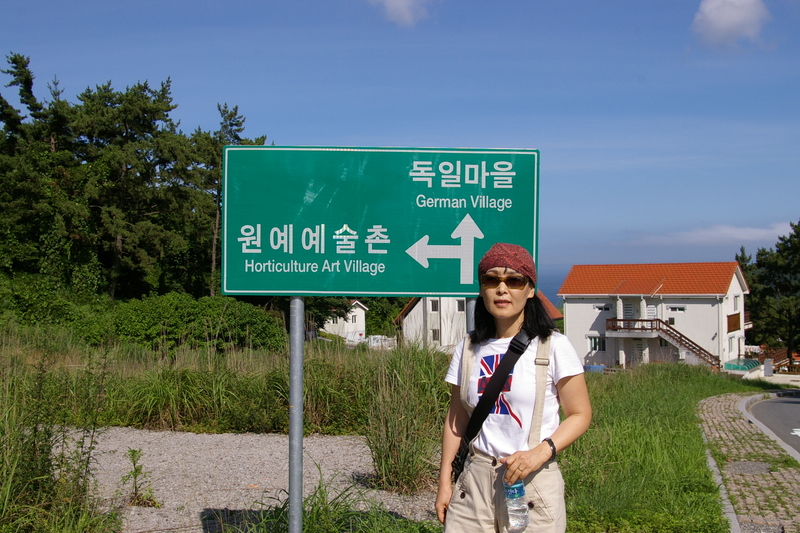 Our first couple of days were at an island called Nam Hae. It’s actually two islands joined together by a bridge which is joined to the mainland by five or six other bridges that are interconnected with other smaller islands in-between. Anyway it’s really scenic. One of the reasons we went there was because my wife wanted to see the excessively advertised and promoted German Village. 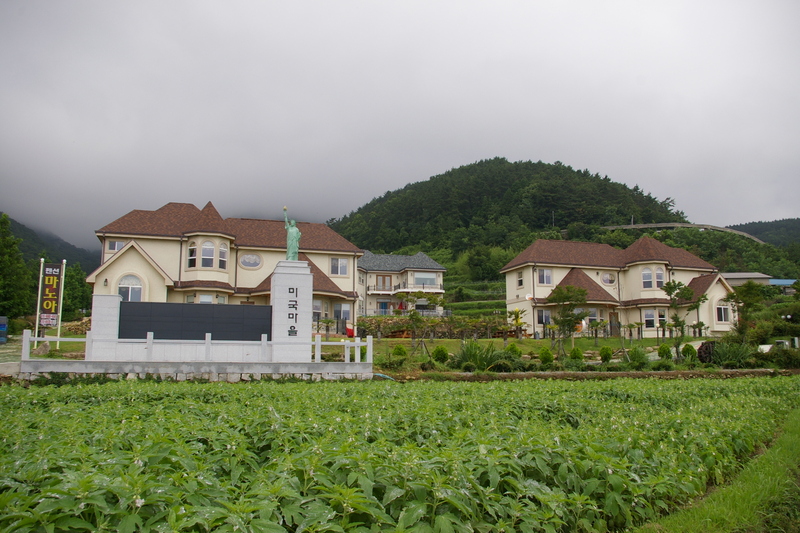 It’s a small village built by Koreans who once lived in Germany and they brought back the architecture. I must admit, after living here for 5 years and looking at nothing but skyscrapers and Korean designed houses, it was strange to see a touch of Bavaria dotting the Korean shoreline. 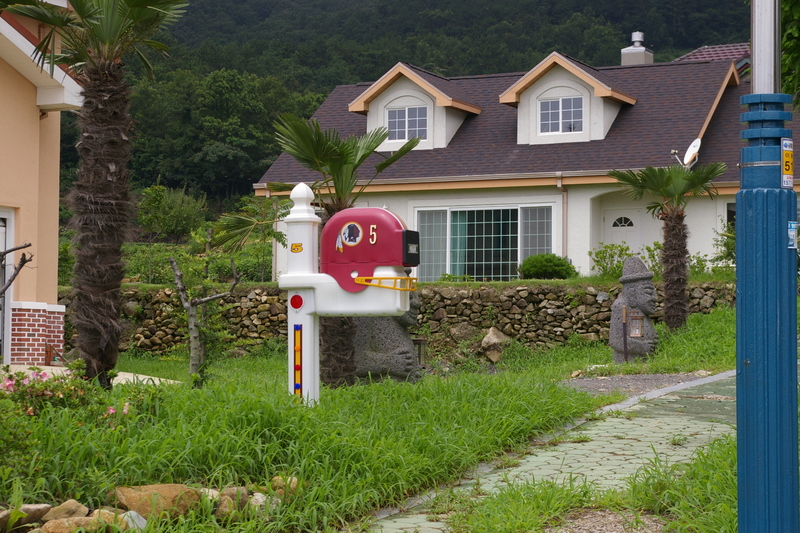 It was also strange to see Koreans living like…well…Germans. Okay I admit it. This is not how they normally dress in the German Village. "Alright I'm in the German Village. Where's the beer?" When we were finished walking around and trespassing on people’s property, we got in the car and left. 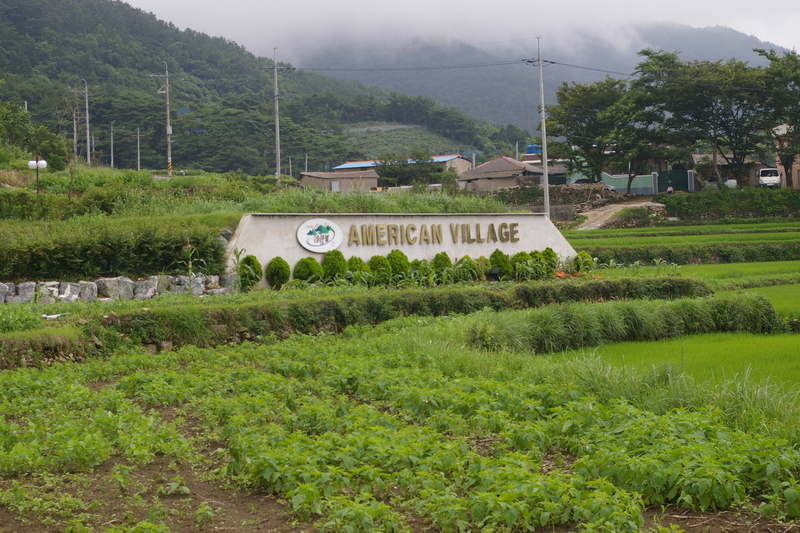 As we drove to another part of the island, we saw the American Village. We had no idea it was there. It wasn’t on the map and neither I or my wife had ever heard of it. As far as I know, it’s not something that is advertised. So naturally I was buzzing with national pride and had to stop and look. 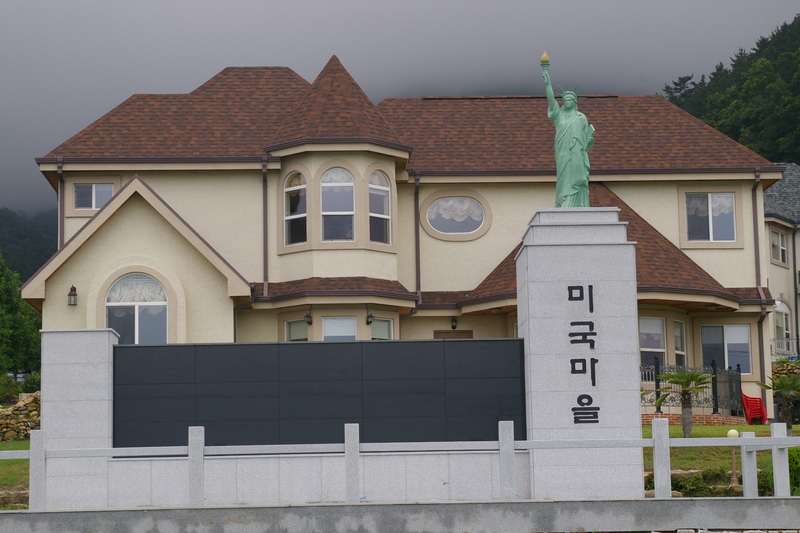 Ah, Lady Liberty standing guard in front of an "American" house. It brings a tear to the eye. Lady Liberty plus some houses. There were about 30 houses in all. I was a little worried they were going to call the cops, so we jumped in the car and left. Hello, I stumbled on your blog while searching for something else 🙂 I know this article has been written a while back and it mentions that you’re working on your first book. I’m only assuming that the book has been published and printed by now ^^ So congratulations! Are the “experts” incompetent, or are we being lied to? I’ve been in South Korea for 6 years! Are the "experts" incompetent, or are we being lied to? Enter your email address to get new rants and receive notifications of new rants by email.